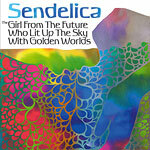 SENDELICA, who are based in and around Cardigan (West Wales, UK) are instrumental psyche-space-rock band whose work blends early psychedelic outings, occasional heavy riffing, and electronic ambient musings. The core band in UK is: Pete Bingham on guitars & electronics (ex- KALD), Glenda Pescado on bass (THE SURF MESSENGERS and ex- NIK TURNER’S ALL STARS), Paul Fields on drums, and Lee Relfe on sax. The band had their debut TheOwlsHaveEyes EP released in July 2006 which was followed by Entering The Rainbow Light LP in January 2007. Both albums were released on self-run FRG Records and featured the core duo of Bingham and Pescado augmented by various collaborators including vocalists Chris Gibbs and Sarah E. Soon after, SENDELICA were shaped as a trio advocating instrumental forms of music. 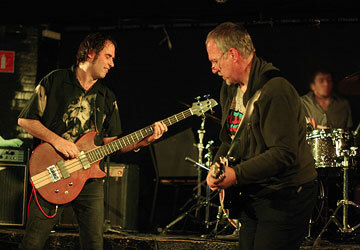 In spring 2008, the band toured the East Coast of USA with a culminating show at the legendary New York Knitting Factory. 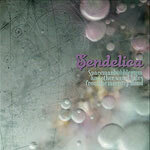 In winter 2011, SENDELICA played five gigs in various cities of Russia. While their three more focused, properly produced and mastered albums were released through RAIG, the band also makes ultra-limited collectable releases of unpublished music through the Welsh community label/studio/workshops Tidy Like Records. For direct contact please attend SENDELICA official page. The band's promo-releases are free-to-download at FMA. "It seems as if they have surpassed themselves this time. It’s not as if that much has changed, but a more coherent feeling towards their often improvised modus operandi makes this a more varied and therefore more accessible effort... The nearly ten minute long 'Screaming And Streaming Into The Starless Nite' is some of the best psychedelia I have heard in a long time. Maybe that’s because the musicians are acting with a maximum degree of focus, bringing this long track into the vicinity of vintage prog rock, culminating in furious saxophone and theremin solos... the album’s magnum opus 'Day Of The Locust', a twenty-five minute monster that may start out rather well behaved but soon finds its way into no-holds-barred guitar driven psyche rock as if Hawkwind were jamming with Black Sabbath. Great stuff! ...There is a lot that Sendelica have done this time better than in the past. The choice of juxtapose longish psychedelish rock, more experimental material full of ambient and electro-acoustics and a truly monstrous improvised jam guarantees that there is something for everyone and not an ounce of boredom. Psychedelic rock fans and those who curious about out-of-this-world sonic exploration should definitely get their hands on this fine piece of music. (Grade: 9/10)" – by Pascal Thiel of DisAgreement (Luxembourg) (May 2010). "Sendelica make music for your senses, best listened to at high volume, alone in a room, or in the field, eyes closed and dreaming. Dreams about future and past. Things to come or just to forget everyday life... 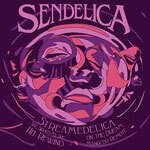 If you are very much into improvisation or psychedelia then Sendelica is an absolute must. (Conclusion: 7/10)" – by Gert Hulshof of DPRP (UK) (June 2010). 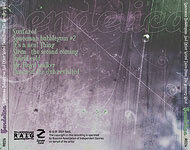 "With each subsequent release Sendelica somehow always manages to the impossible which is to top their last album. Streamedelica certainly has to be considered their most complete and well rounded effort to date. (Score: 5/5)" – by Ryan Sparks of Sea Of Tranquility (USA) (July 2010). "This is one of those albums that requires a lot of listens to explore its depths. Whether conjuring up the ancient countryside of Wales or the farthest reaches of the cosmos, Sendelica plays a brand of heavy psychedelia infused with jazz, krautrock, ambient and space rock notions that is both intense and yet intriguingly mysterious... Whether you opt for the regular CD or the limited edition CD/DVD, you are in for a fantastical trip into the mysterious realms of instrumental psychedelia. Highly recommended!" – by Jeff Fitzgerald of Aural Innovations (USA) (October 2010). The album was also reviewed at: SOT's interview with Sendelica (USA), Spacerock Reviews' interview with Sendelica (UK), Aural Innovations' Radio Show #234: Sendelica Special (USA), Spacerock Reviews (UK), Metal Library (Russia), Ptolmaic Terrascope (UK), Monochrom-Cracked (Austria), MerlinProg (Norway), Music Waves (France), Record Collector (UK), Psychotropic Zone (Finland), Concrete Web (Belgium), Doommantia's interview with Sendelica (USA). "Sendelica stand out from the crowd… mostly because they play instrumental stoner rock without getting boring… Maybe, with all the prog and fusion craze about the happen in a short while and the new retro of long songstructures and meandering dynamics in songs, stoner rock will also have its own small revival and Sendelica is able to light up the sky with a few golden bass riffs as well." – by Georg Gartlgruber of Monochrom-Cracked (Austria) (May 2009). "Sendelica are a band that isn't afraid to stretch out musically, and more importantly they're willing to take whatever time they need to let their compositions flow and build gradually, and this is a big reason why their music works so well... This album is definitely executed to perfection. The music is absolutely compelling from beginning to end, as they shift gears from heavy all out guitar oriented jams to spacey, introspective, ambient passages, with relative ease. Take an hour for yourself and plug yourself directly into this masterpiece immediately. (Score: 5/5)" – by Ryan Sparks of Sea Of Tranquility (USA) (June 2009). The album was also reviewed at: DisAgreement (Luxembourg), Rate Your Music (USA), Terrascope Online (UK), Space is Deep (Russia), Aural Innovations (USA), ProgArchives (USA), Sonic Frontiers (USA), R2 (Rock'n'Reel) (UK), Progressive Area (France), Psychotropic Zone (Finland), The Fly (Magazine) (UK), Metal Library (Russia), DPRP (UK), RestArt (Russia). 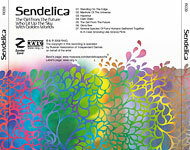 "It seems as if Sendelica always have a couple of ideas for every song, around which they create agile improvisations that work all the time, proving that these are musicians that understand each other’s ideas and who are used to playing together… An interesting addition for fans of Hawkwind, Gong and Seventies psyche and kraut rock generally. (Grade: 8/10)" – by Pascal Thiel of DisAgreement (Luxembourg) (September 2007). "The disc starts off with the languidly mellow, mood setting sounds of 'Sunfazed' which after four minutes segues into the muscular and driving force that is 'Spaceman Bubblegum #2', a track which features a heaping serving of Bingham's inventive and torrid guitar work. 'It's a Neu! Thing' like its title suggests, is an indirect tribute to the legendary Kraut rockers, featuring an airtight rhythmic workout between Pescado and Fields underneath a plethora of electronic sounds and triggered effects. 'Siren-The Second Coming' starts of with a groove before Bingham's inspired soloing once again takes center stage for well over five minutes. By this point just over thirty minutes have elapsed, which gives the listener a pretty good idea of what Sendelica are all about, that is until they totally blow your mind with the absolute guitar tour de force on 'Indrid Cold'. Check out the crazy solo's Bingham tosses out on this twelve minute epic, not to mention Pescado's thick and rubbery bass lines and the busy work of Fields behind the kit. This is hands down the best track on the disc. 'Mr. Floyd Walker' is a minimal ambient piece of music which sounds a bit out of place compared to the frenetic pace of the first five tracks. Likewise the albums final number 'Dawn Of The Dub Revisited' is another gentle, floating and radiating track. (Score: 4/5)" – by Ryan Sparks of Sea Of Tranquility (USA) (November 2007). The album was also reviewed at: Organ Magazine (UK), Glasswerk (UK), Psychotropic Zone (Finland), Terrascope Online (UK), Aural Innovations (USA), Eclipsed (Germany), Musik Zirkus Magazine (Germany), Rate Your Music (USA), ProgArchives (USA), ProgressiveEars (USA), MerlinProg (Norway).